Don’t forget to read Parts I and III. It’s only an hour’s drive to Dunkerque this morning where 2015 marks the 75th anniversary of the Battle of Dunkerque and Operation Dynamo and between 21 and 25 May, a number of events will be taking part to commemorate this historic marker. Visit the War Memorial Museum for just €4 pp and learn about the Battle and evacuation of over 300,000 allied soldiers during Operation Dynamo. 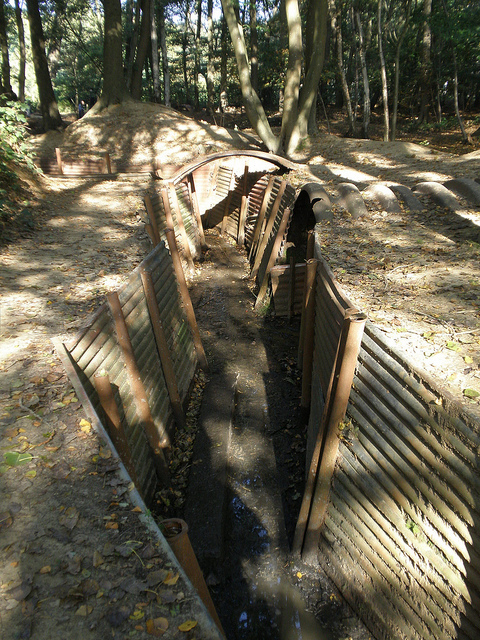 Sanctuary Wood, Ypres. Photo by Amanda Slater. Make your way to Ypres, only a 45 minute journey away, and head straight to an early lunch at Den Olifant. There is much to do in Ypres but we recommend the Grand Tour of Flanders which lasts for 4 hours and starts at 1pm costing €38 pp. The tour gives a very real insight into Ypres 1914-1918 and you will visit a number of battlegrounds and the trenches, a deeply thought provoking experience. 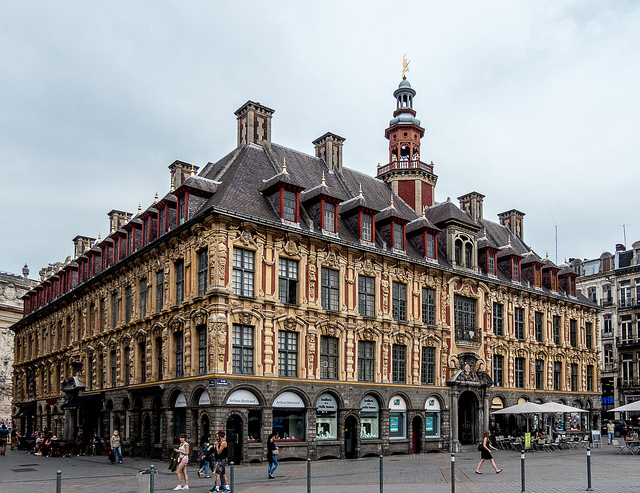 Spend the night in Ypres at the Albion Hotel or Hotel Ariane (also great for food). It’s a short drive to Lille this morning before having the remainder of the day to explore. Try Tradi’Balade, a tour of the city in a 2CV, great for Bond fans and lovers of classic cars. From €28 pp for an hour’s tour, this may be the perfect way to begin your stay in Lille before venturing out into the city on foot. 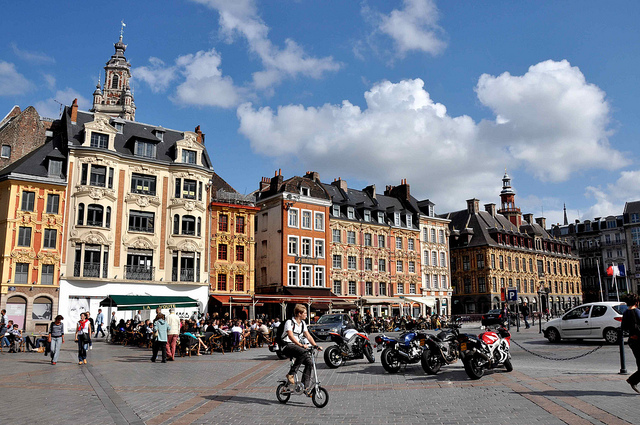 Head to the Grand Square, where the old stock exchange (Vieille Bourse) is located and admire the buildings and then stop at one of the many cafes around the Square for lunch. Vieille Bourse. Photo by Yann Caradec. Take a closer look at the Vieille Bourse and sneak a peak at its courtyard (free entry Tuesday afternoon until Sunday) and pop inside to its flea market where you could well pick up a bargain. Also, every Sunday evening from July to September between 7-10pm, you can enjoy watching the Tango being performed here. Spend the next 2 nights at either the modern Hotel Barrière Lille just 15 minutes from the centre or choose the beautifully historic L’Hermitage Gantois just 5 minutes from the centre, previously used as a hospital. 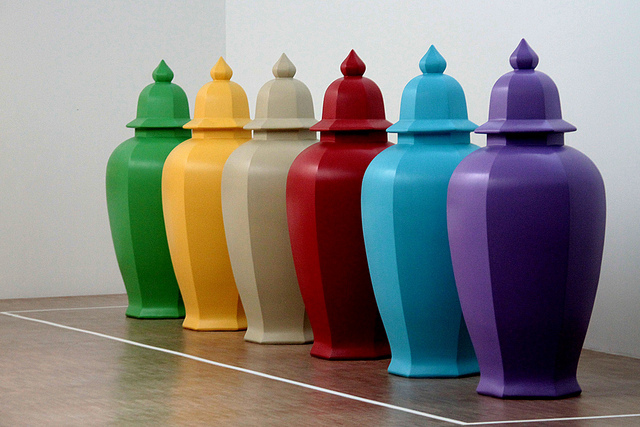 If you enjoy modern art and don’t mind a drive out of the city, make your way to Musee d’Art Moderne which has displays both inside and out, not too dissimilar to the Yorkshire Sculpture Park. It’s open most of the year (but for 1 January, 1 May and 25 December) from Tuesday to Sunday 9am until 7pm and costs from €7 per adult. We like the ‘Objets Perdus’…..a centrepiece which forms a map of France from lost objects; a rather lovely juxtaposition. 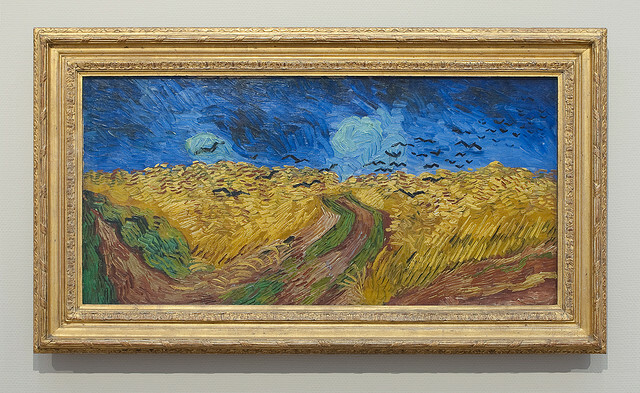 Musee d’Art Moderne. Photo by Olivier Bacquet. If you are with younger travellers, spend the afternoon at Parc Zoologique which opens again on 2 May and has no entry fee. A municipal park, similar to that in Amiens, Lille’s Parc Zoo is home to a plethora of animals you wouldn’t expect in the city including monkeys, rhino and tapirs. Dine out at Le Potager des Demoiselles Cote Bistro, a cosy little restaurant which serves great wine, meals and desserts. It’s a drive out of the centre and so if you’re feeling more inclined to relax at a restaurant which is central, try Autour de Vous which has been impressing food critics, locals and tourists and for something a little different, head to Delassic for a cheese and wine night. Watch out for special evenings where you can taste 9 cheeses, 4 wines and finish with a dessert for €40 pp. Lille. Photo by Craig Morey. This 10 night itinerary covering six cities in Europe begins in Hull and takes you over to Zeebrugge, returning via Rotterdam. 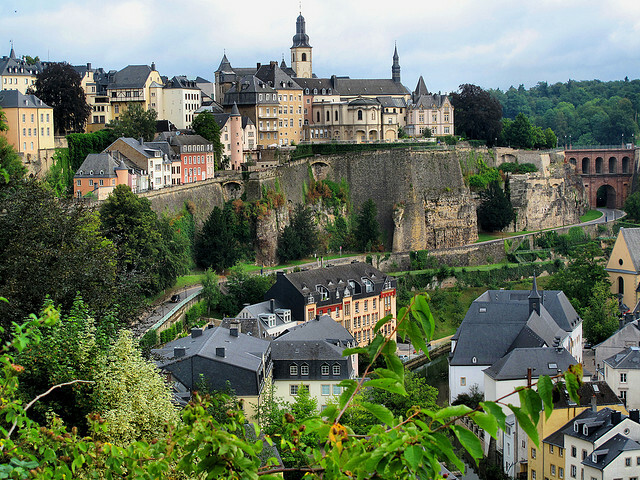 With Zeebrugge being such a wonderful gateway to Europe, the options are endless and so this itinerary is just one of the many adventures you could have. The ferry from Hull to Zeebrugge leaves in the evening and so you can sleep on through the night ready for your city break adventure. If you can, upgrade to the Club room which offers far more comfort. If you don’t want to pay the price in advance, always check on the day immediately when boarding just in case there are any rooms available in Club…..you may get a steal! Bruges at night. Photo by artorusrex. 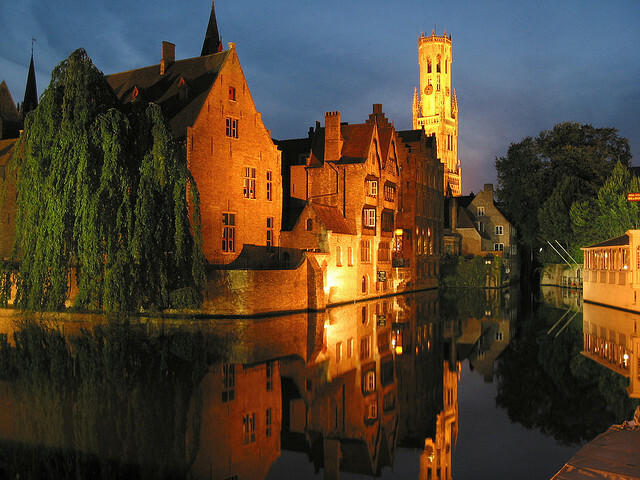 Arrive early into Zeebrugge and head to Bruges, a UNESCO World Heritage City, to explore the chocolate box centre. As you will be arriving early, stop for breakfast at Prestige Patisserie where you can indulge in the Prestige breakfast which includes some very delicious pastries. There is also a shop on site stocked full of delicious treat including breads, pastries, cakes and quiches that you may find it hard to leave without a little souvenir for later. After breakfast head to Basilica of the Holy Blood, which looks to be a small and yet beautifully ornate church tucked away in the corner of a square. It’s quite dark inside, giving away its 12th Century build. It claims to have the blood of Christ in a vial which you can see between 11:30-12pm (or 2 – 4pm) and even better, if you are there in May, you can witness the procession around Bruges. Whether religious or not, this is a lovely little church to see and entrance is free. 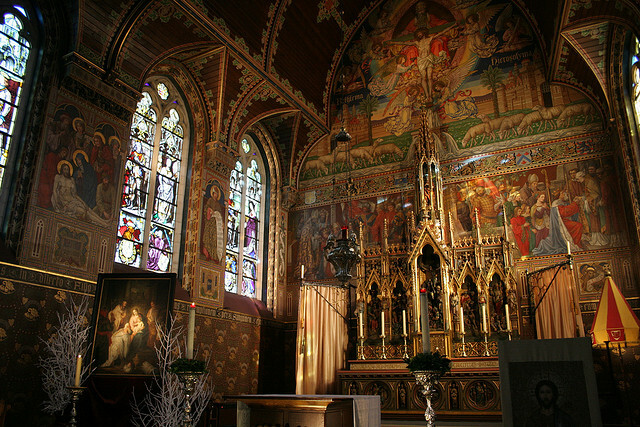 Basilica of the Holy Blood. Photo by Chris Brown. For lunch, why not indulge in a compulsory Belgian Waffle at the Carpe-diem Tearoom. You will then need to burn off at least part of that heavenly lunch stop and so we recommend you head to the Belfry……sadly not a golf course but gladly, a wonderful view over Bruges once you have climbed the 366 steps. Spend the night at Martin’s Relais Oud Huis which overlooks the canal or the luxurious Grand Hotel Casselbergh. Begin your day with a trip on the canal. Boats operate between March and November and the first trip sails at 10am. Each boat company offers the same 30 minute tour and price (just shy of €8 pp) and so no need to shop around. After this gentle start to the morning, it’s time to get moving and work up an appetite for your late lunch. If you’re into your films, why not try a free 2 hour walking tour which will take you to filming locations spotted in the film ‘In Bruges’ (tours usually start at 12pm, 2:20pm and 3pm from various locations). If you’re feeling more adventurous, try a segway tour of the city which lasts between 1 and 2 hours with prices starting from €35 pp. 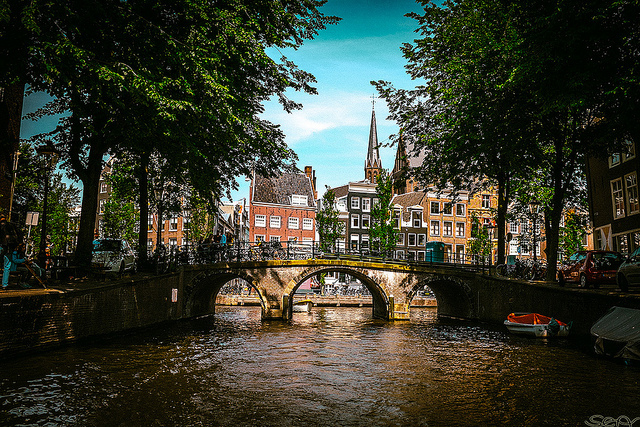 For those of you who are feeling more active, skip the morning canal trip and take a cycling tour of the city which departs at 10am for 2.5 hours and costs €28 pp. 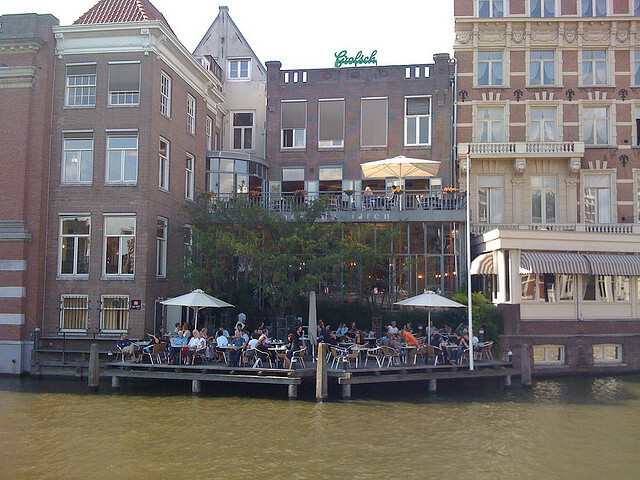 Upon your return, consider that restful canal trip before taking lunch. 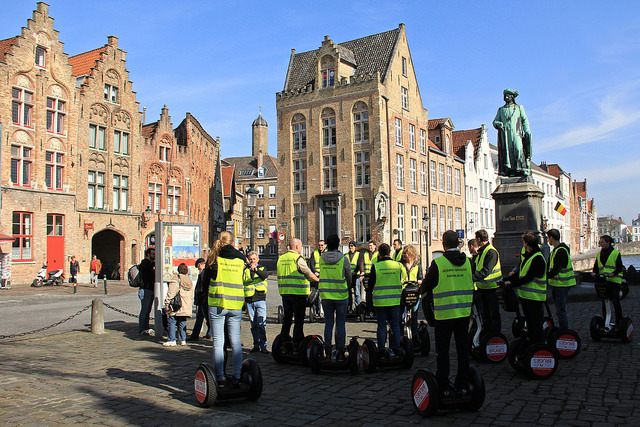 Segway on Bruges. Photo by Michela Simoncini. As you are in Belgium, build in a lunch stop at De Halve Mann brewery where you can enjoy 3 courses (including beer pate!) for €29 pp. After lunch, take a tour lasting 40 minutes and be rewarded with a pint at the end, all for just €8 pp. 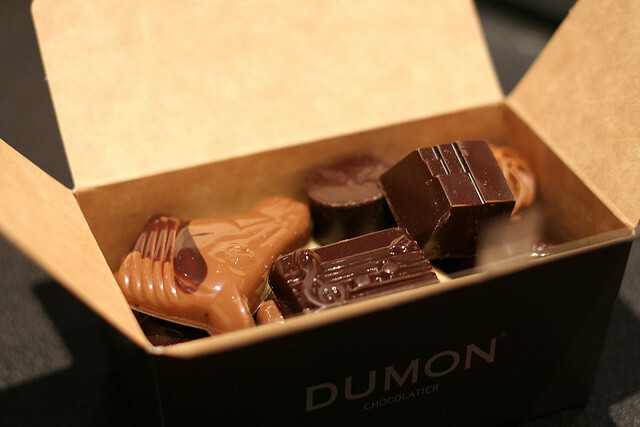 Make sure you stop at possibly the best chocolate shop in town, Dumon. 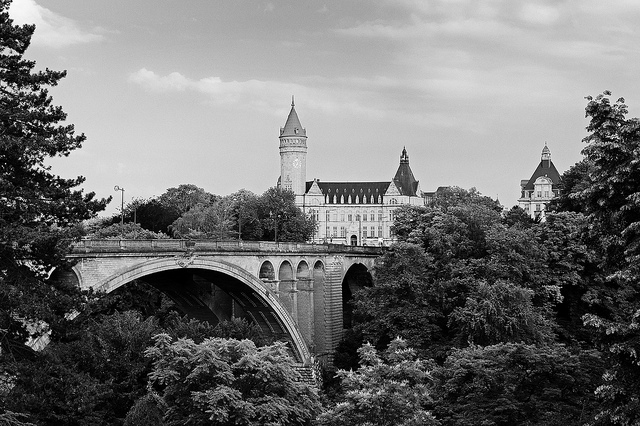 Set in a 400 year old brick building, you really will feel spoiled by the choice it offers. If you have time and you really do love chocolate, visit the Chocolate Museum which will take about an hour. If you want to take it a step further, take a workshop where you can make your own chocolates and take them home with you! Chocolate treats from Dumon. Photo by Cody & Maureen. For evening drinks, we like Duvelorium for the views and for the beer, to Le Trappiste which is Bruges’ first international beer cafe.